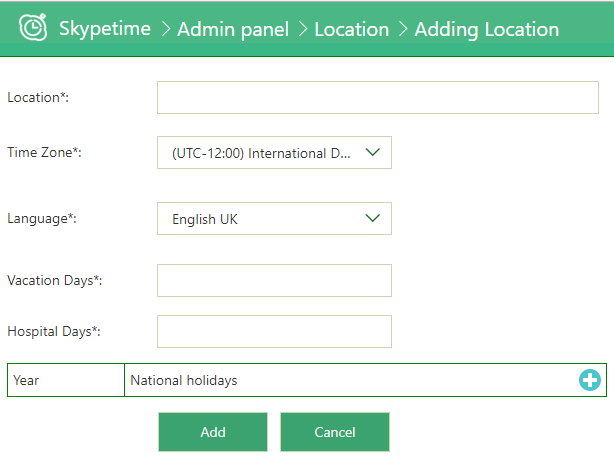 This setting is for creating a location, changing the time zone, and creating a list with public holidays. To add a new location, click the “Add Location” button in the left pane. In the opened window there are several fields that must be filled in: Location name, Time Zone, Language, number of Vacation / Hospital days. The last point is the detailed adjustment of public holidays for the selected year. After filling out the form, click on the “Add” button.